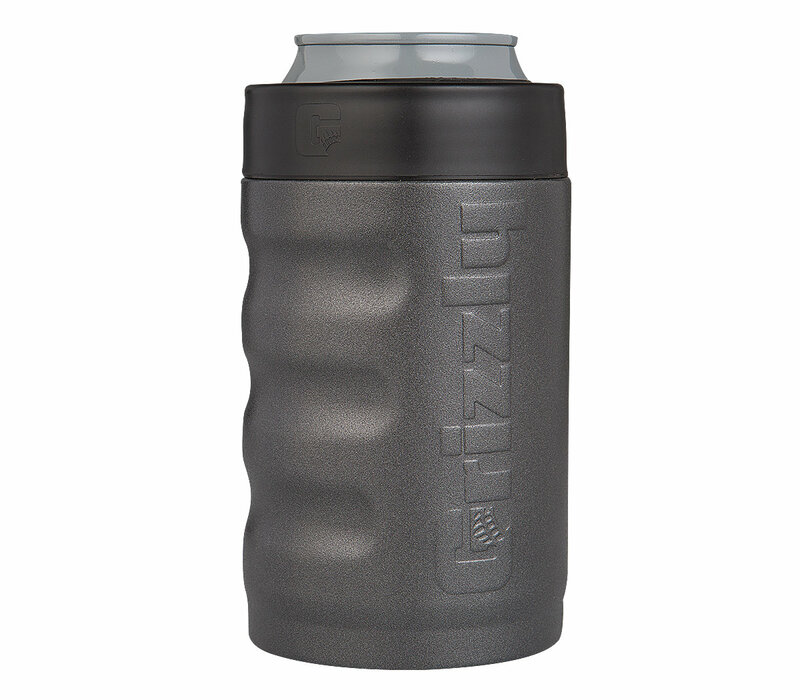 The Grizzly Grip Can Cooler will keep your favorite 12 oz can drink cool for long periods of time. This is the perfect accessory for tailgating, camping, on the boat or lounging by the lake or pool! The double-wall vacuum insulation is made to keep a consistent temperature. 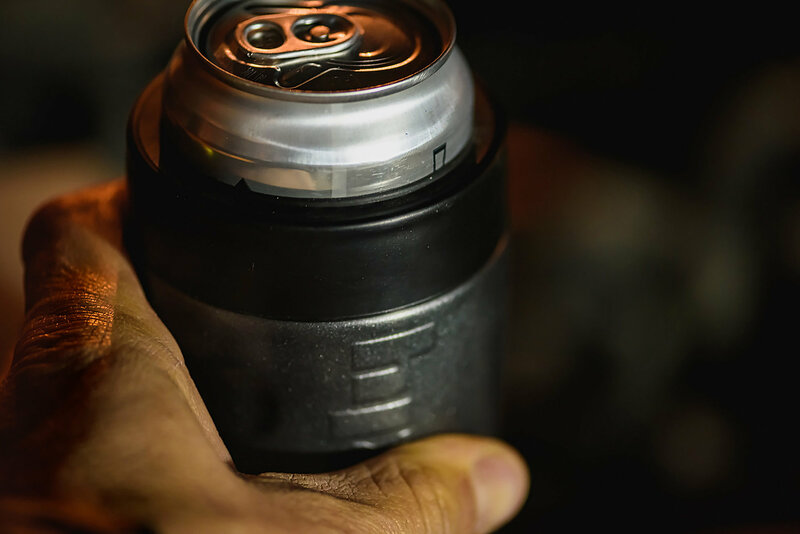 The comfortable built in hand grips and rubberized bottom make this can cooler the only choice to keep your beverage cold. Available in Stainless Steel or Charcoal Textured finishes. Keep it Cool! 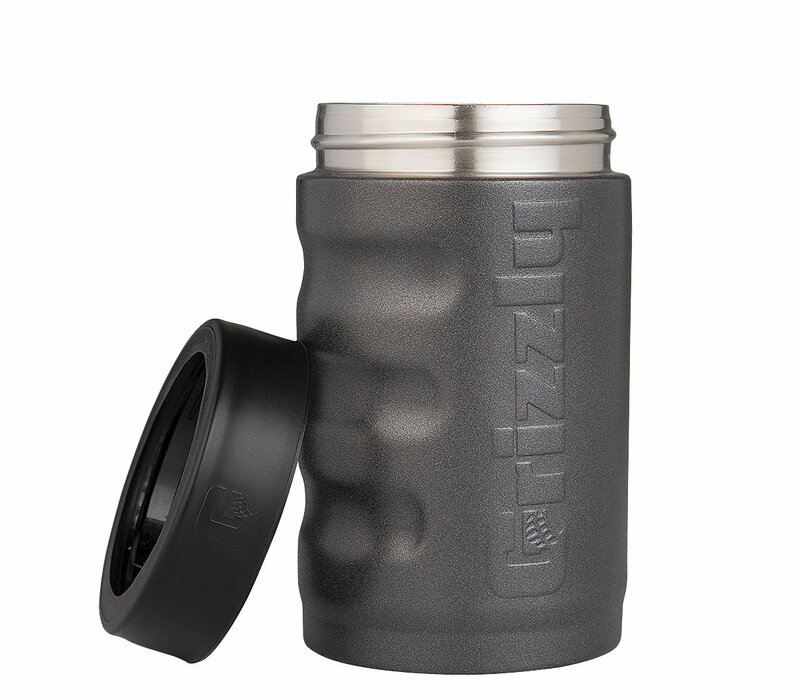 The double-walled insulation of the Grizzly Can Cooler is designed to keep 12 oz. canned drinks cool for up to 4 hrs. 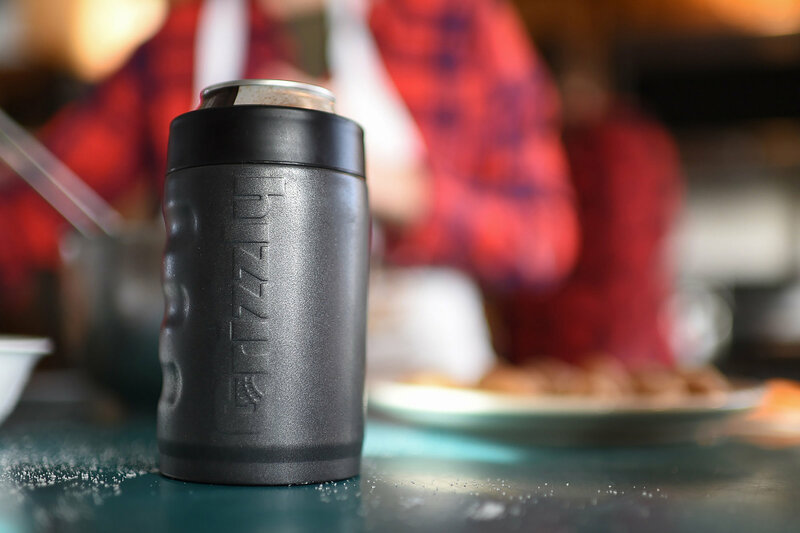 Tough but Comfortable: The heavy duty stainless construction ensures years of usage (and abuse) without fail. 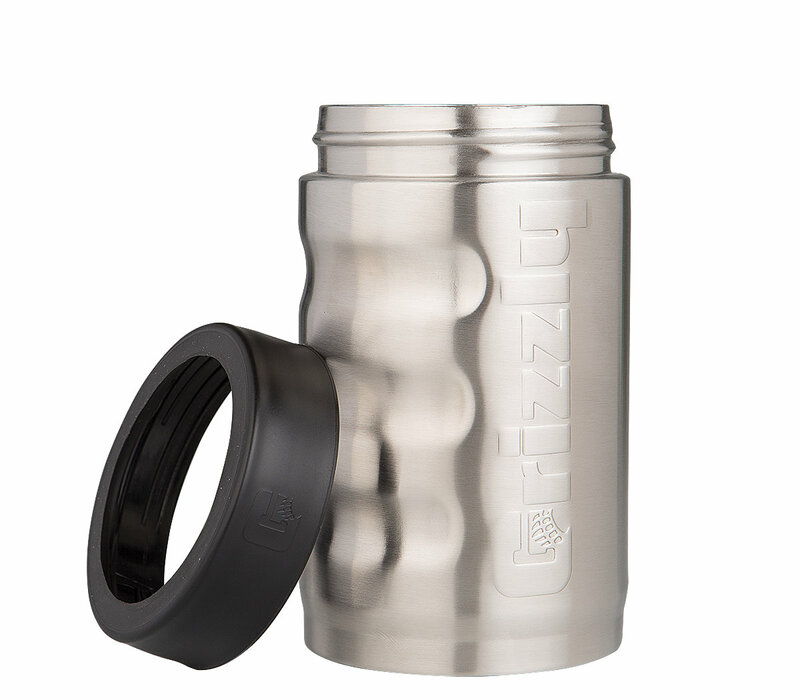 The built in hand grips and bottom rubber base make sure your drink will be where you last put it.